Click 'New' button in the left top corner of main interface to create a new app. You will be brought to a screen that requires you to enter the basic information about your app. This is where most of the customization takes place. In this window you can name your App, set the version number, put in a copyright. You can also change the App icon as well as the logo the user sees once the app starts up. Click Next button, you will see the following screen. 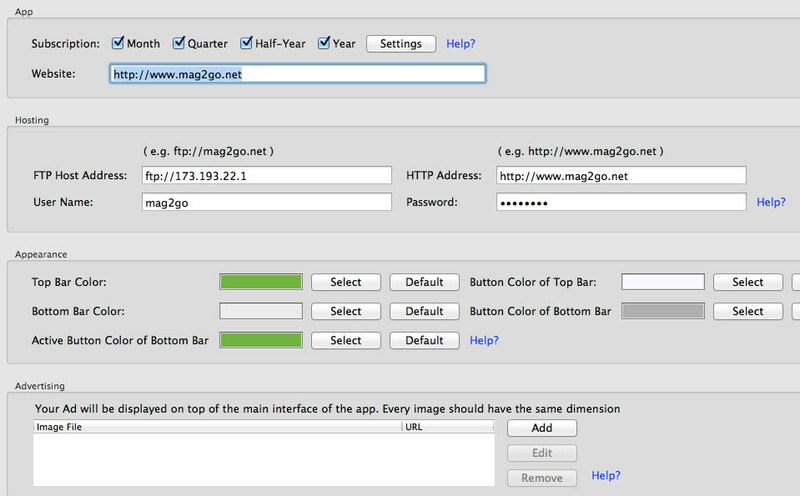 You are able to enter subscription settings and hosting information, customize the interface of your app. You can also add some advertising banners that will show on the top of your app. After you click "Next" you will be brought to a screen that says "Create App for iOS" Fill in your App ID you can follow the tutorial we have on How to Create App ID in iOS Provisioning Portal? 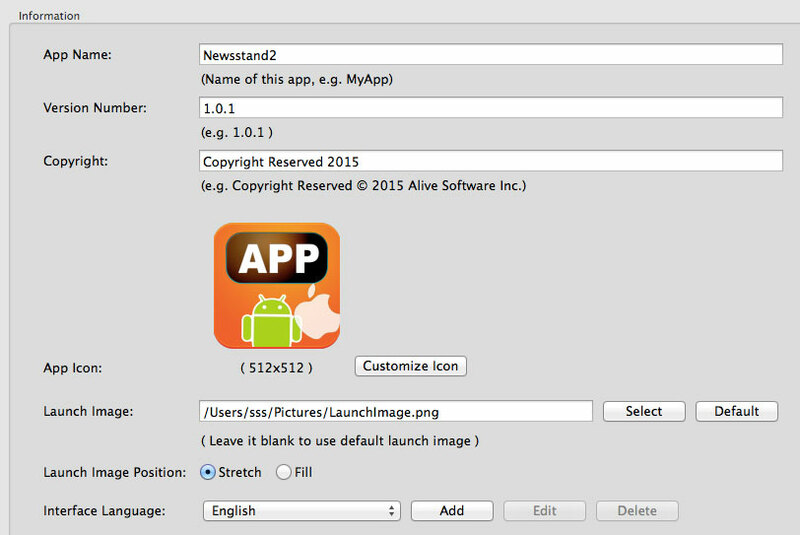 How you should be at the screen called "Create App for Android" You can also fill this page out if you are planning to also create an Android app. Otherwise uncheck and hit next. When you are done hit Finish to save the information you just input. Or click Build button to save information and generate the app files. You can click 'Build' button on top of the main interface whenever you want to build the app files (.ipa file for iOS and .apk file to Android) for testing on your devices. After creating the App, you need to add new issue into the app. 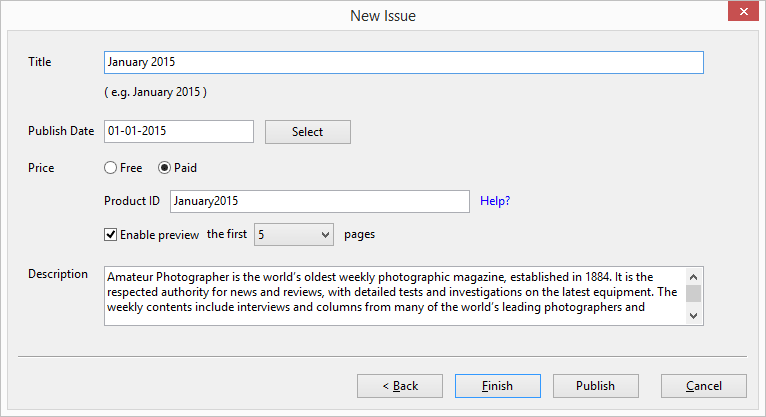 Please click 'Add' button on top of the main interface to add the PDF for the new issue and input the information. 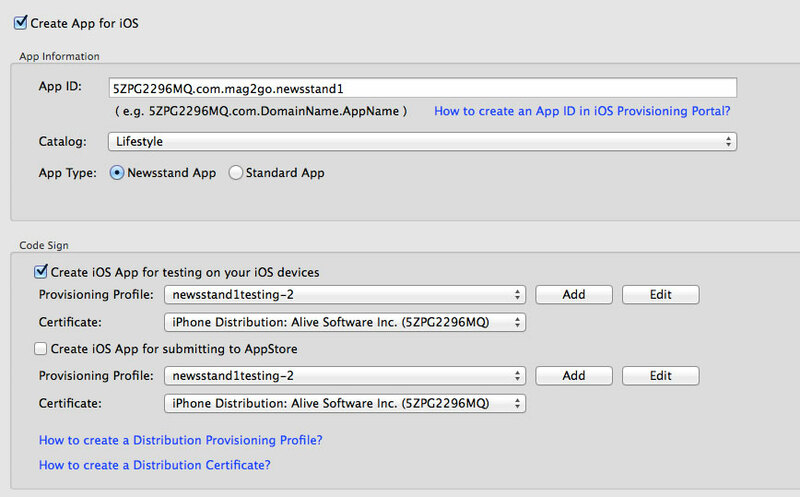 Then click 'Publish' button to publish it into the app. We recommend you to publish at least one issue before building the app and starting to test the app on your devices.